Minimal architectural articulation was done to the core and shell of the space. The existing wall and ceiling was restored to a natural concrete look and the existing floor tile was replaced with a exposed sealed concrete finish. 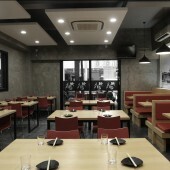 However, a color scheme contrasting the shell is used for a warmer dining experience. Yu-Ngok Lo, AIA, LEED AP, 2013. 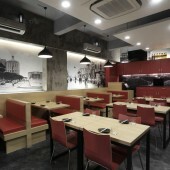 Grille Barbeque Restaurant by Yu-ngok Lo, Aia, Leed Ap is a Nominee in Interior Space and Exhibition Design Category. · Click here to register today inorder to be able to view the profile and other works by Yu-Ngok Lo, AIA, LEED AP when results are announced. 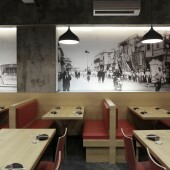 Grille Barbeque Restaurant by Yu-ngok Lo, Aia, Leed Ap is Winner in Interior Space and Exhibition Design Category, 2013 - 2014. · Press Members: Login or Register to request an exclusive interview with Yu-Ngok Lo, AIA, LEED AP. · Click here to register inorder to view the profile and other works by Yu-Ngok Lo, AIA, LEED AP. 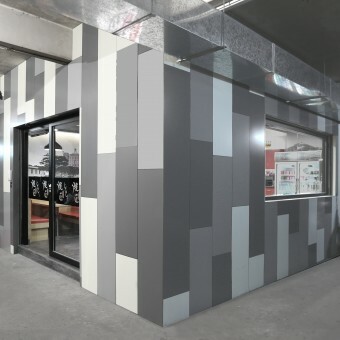 Did you like Yu-ngok Lo, Aia, Leed Ap's Interior Design? 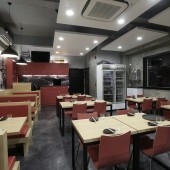 Did you like Grille Barbeque Restaurant? Help us create a global awareness for good interior design worldwide. 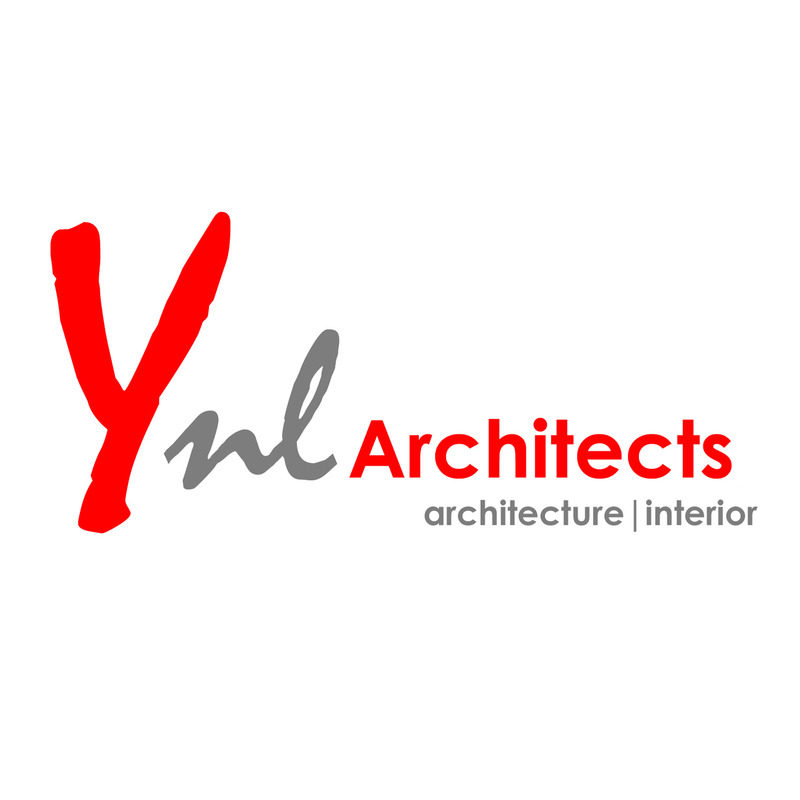 Show your support for Yu-ngok Lo, Aia, Leed Ap, the creator of great interior design by gifting them a nomination ticket so that we could promote more of their great interior designs.